Topped off with a cute purple bow! 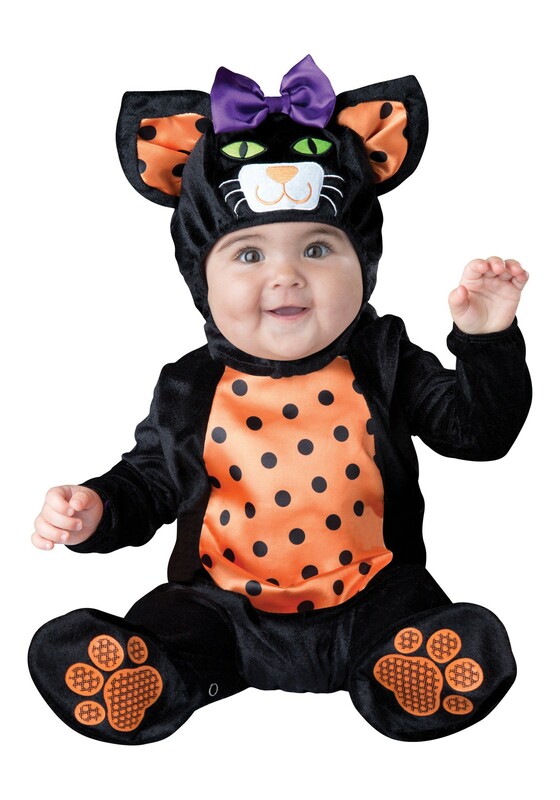 Make your little one part of the litter with this adorable costume! With orange and black styling, it's the perfect way to get them in on the Halloween fun. They'll look cute and stay warm in this Mini Meow Cat costume. It's downright purr-fect!